Chevy Bolt: Chevy sticks its toe into the electric car pool with this five-passenger, front-wheel-drive hatchback. Power comes from a 60-kWh lithium ion battery which is connected to a 200-hp electric motor. 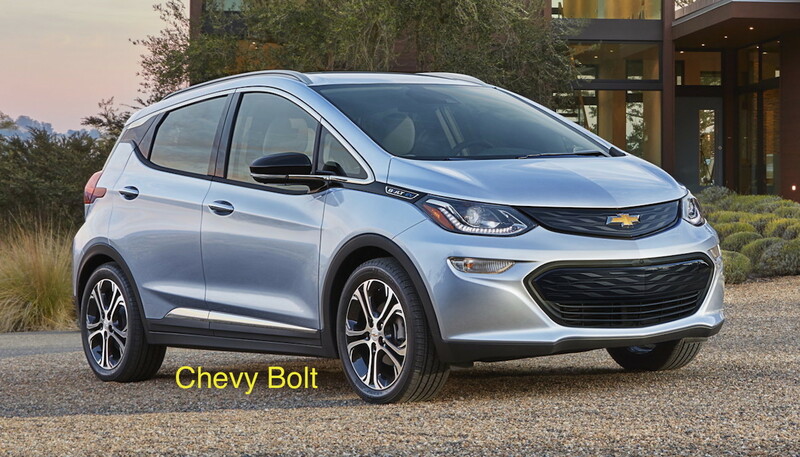 Chevy tells us the Bolt should be capable of driving 200 miles between charges. 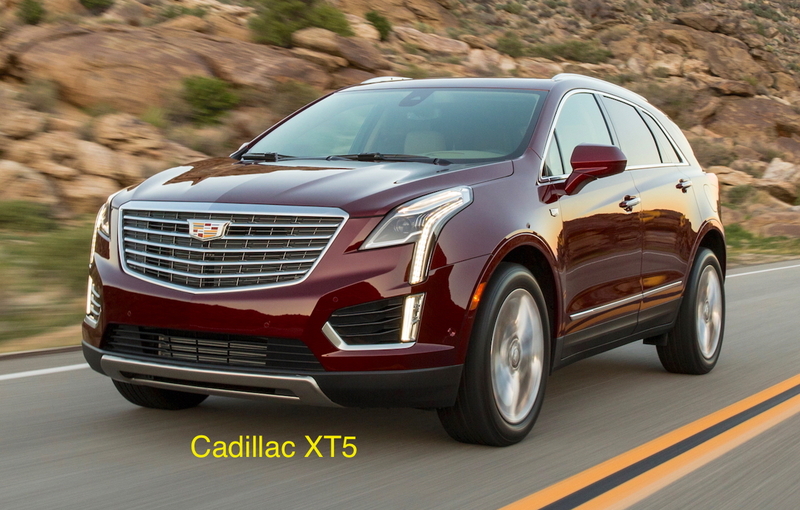 Cadillac XT5: this is Cadillac’s new entry into the luxury crossover segment (replacing the SRX), and it introduces the marque’s new nomenclature for what they tell us is the first of four new vehicles in the category. A totally new design, still unmistakably Cadillac, includes a new 3.6L V-6 with Active Fuel Management cylinder deactivation technology, and a rear camera whose display is shown on the inside rearview mirror. 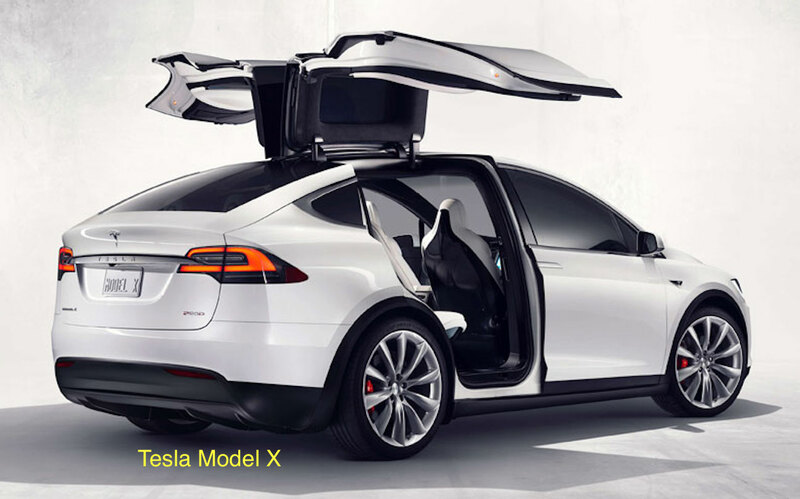 Tesla Model X: this all-electric crossover really stands out from the crowd whenever its passengers enter/exit its rear seating area. Those are Falcon Wing doors in case you’ve been wondering what to call them. Tesla explains that they work well in tight spaces, and you shouldn’t hit your head on the roof while buckling the kids into their car seats. 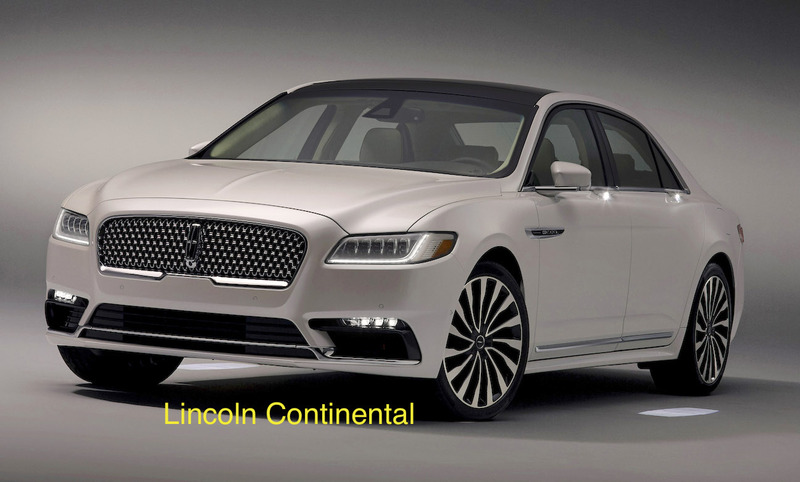 All-wheel-drive, seating for seven, and a range of up to 250 miles on a full charge. Rolls-Royce Dawn: it just might be the ultimate convertible. But if you are a family of five, someone will have to be left behind, as this $339,850 drophead (oh, sorry about calling it a mere convertible earlier) only seats four. But, dear prospective owner, take solace in knowing that Rolls-Royce has proclaimed “Quite simply, it is the sexiest Rolls-Royce ever built.” ‘Nuff said.